When the flow of the nutrients is restrained by a blockage during the ingestions in the body then such obstruction is called ‘intestine blockage’, which can be partial or in some cases the entire system can be collapsed even. In simple words, it can be defined or referred as the ‘gastrointestinal obstruction’ which disturbs the smooth functionalities of the stomach or intestines. The dog breed can commonly face this medical issue as they are willing to intake anything without keeping any distinction. The puppies can suffer from this more than the elder dogs due to the lack of experience. Due to the ‘Stomach and Intestinal Blockage’, there occurs the compilation of many solid and liquid wastes which can result in vomiting, gastric secretions and sometimes even dehydration. 3 How can it be avoided? 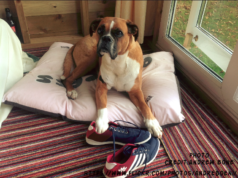 A boxer dog owner must be fully aware of this fact, the boxer dog at any stage is proficient to ingest, swallow or gobble anything which can be ultimately dangerous for its digestive system. Sometimes it is as critical as it might also cause a terrible blockage. Boxer dog is always keen to take everything in its big mouth either unconsciously or with an intention. You’ll be surprised to know, the most dangerous item in the household is socks, which they can swallow without any reason. There are also numerous examples illustrated by many boxer dog owners, in which their boxer swallowed strange pieces that resultantly became the reason of stomach and intestinal blockage. Sometimes the incidents were so worse and deadly that lead to the death of those boxers. The best way is to take such precautionary measures which can prevent from stomach and intestinal blockage by your boxer dog. It is observed that boxer dogs can swallow objects like coins, underwear, socks, balls, marbles, toys, bones, small sticks, buttons and tampons which are normally available within their reach. If you suspect your boxer dog to have swollen these types of objects, then it is always suggested, it must not be left untreated. If you take abrupt action, then this can avoid future complications and intestinal blockages. Otherwise, some serious medical care would have been taken like surgery and endoscopy. Always remember; the boxer dog breed is inquisitive, experimental and curious even if those are kept with other dogs or pets. They will keep following their own exploring instinct. For your beloved but nosy chap, it is important to keep all dangerous objects away from him. Even if you keep them in cupboard or drawers, it can be unsafe. It is better to properly lock the doors of such cabinets. If you deem anything which can be swallowed by your boxer dog, it is better to place it high where it cannot reach. If you suspect, your boxer dog has inhaled or gulped something, you need to check immediately if something is lost or hidden from its place. That thing might be on the way to its stomach and which can ultimately destroy the intestinal function. First symptom in such case can outcome as vomiting some clear fluid from boxer dog’s mouth. Normally, the transit time for the swallowed object to reach the stomach through the gastro-intestinal tract is approximately between 10 and 24 hours. 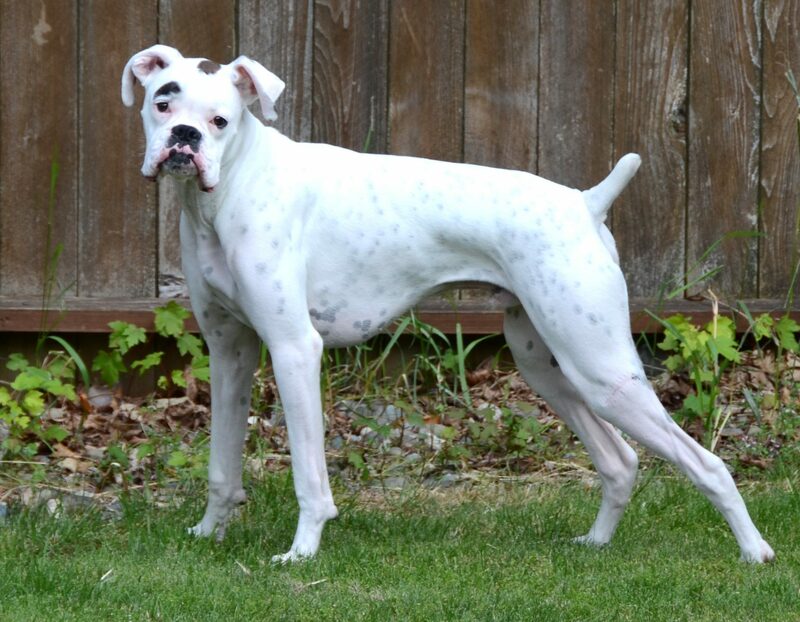 The symptoms of stomach and intestinal blockage in such boxer dog will start to appear within 24 hours. This time may vary depending upon the severity of a case. 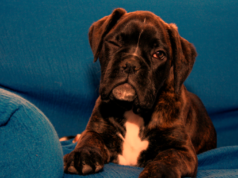 There are four types of blockages which might put your boxer dog in great sufferings. If the blockage in the stomach is happened then the opening from the stomach into the duodenum will be closed off. It will not let the food pass through the intestinal tract. Boxer dog will start vomiting after various pauses. Balls, marbles and big bones can be the objects for creating this type of blockage. If an object is able to pass through the opening from the stomach into the duodenum but ultimately it is stuck in the twists of the small intestine. It will cause gas accumulation and bloating will take place. It will disturb all blood supply functions and tissues will also be starting to be damaged. 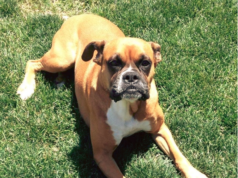 In such case, boxer dog might suffer from severe abdominal pain with high temperatures. This is very serious condition which can result in causality as well. Diarrhea and vomiting will also be the clear signs of such blockage. In some cases, it is also observed, a foreign body might take some time to travel and pass through the intestine and it can stay clipped around the boxer dog’s stomach for some time or even for some days before moving into the narrow small intestines. In this case, the symptoms of blockage might not happen quickly; only the partial blockage will be start occurring firstly. The vets normally adopt a diagnostic procedure for confirming gastric and intestinal blockage which is called an endoscopy. A small tube with a small camera fixer on its higher tip is passed through the mouth and then in the stomach to examine the blockage. Even this method is sometimes useful to bring out the foreign bodies that may be the source of blockage. Additionally, some urine and blood tests can also be recommended for detailed analysis. Even sometimes the abdominal ultrasounds of the affected boxer dog can also be a viable solution to diagnose the blockage. Next articleWhy Do Boxer Dogs Sit on Each Other? Or Sit on You!